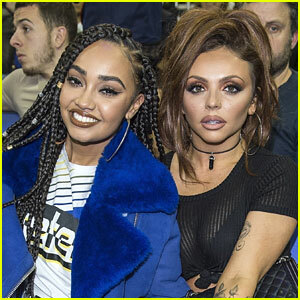 Little Mix’s Jesy Nelson & Leigh-Anne Pinnock Attend NBA London Game | Andre Gray, Jesy Nelson, Leigh-Anne Pinnock, Little Mix | Just Jared Jr.
Leigh-Anne Pinnock and Jesy Nelson pose for a photo while attending the NBA London Game: Boston Celtics vs Philadelphia 76ers at The O2 Arena on Thursday (January 11) in London, England. 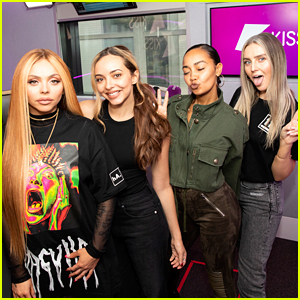 The Little Mix singers were also joined by Leigh-Anne‘s boyfriend Andre Gray. “She’s always my Nba date,” Jesy captioned a photo of the girls. 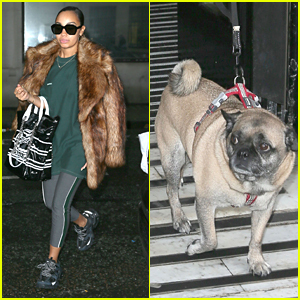 “When he refuses to smile I make him #NBA,” Leigh-Anne captioned pics of her and Andre. Little Mix are up for two awards at the upcoming 2018 iHeartRadio Music Awards – Best Fan Army and Best Remix for “Reggaet�n Lento” with CNCO. Little Mix's Jesy Nelson Shows Off Shorter Hairdo!